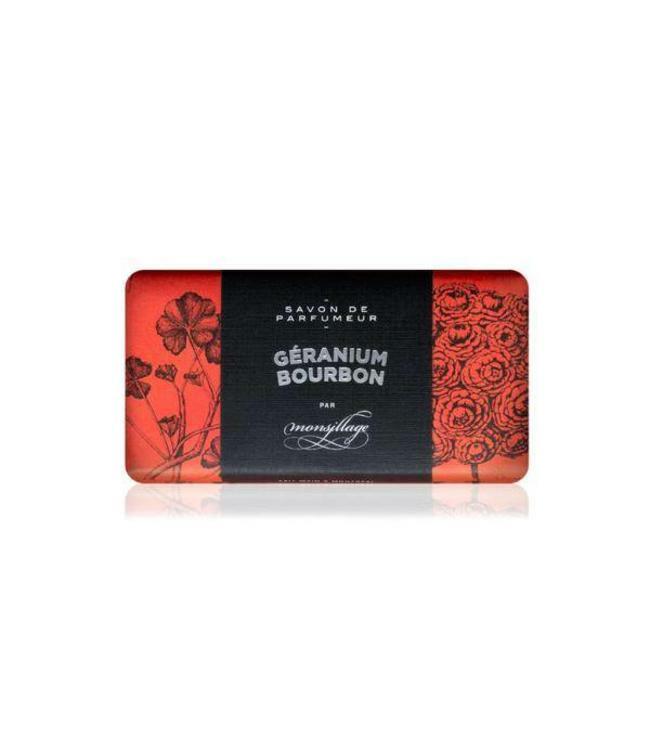 This is a really nice Geranium Bourbon scented bar soap. The soap is well made and doesn't appear to dry the skin. Skin is left nicely perfumed, with the scent lingering on the skin for several hours after washing. If you are new to more "masculine" florals this would be a great way to test the waters. I look forward to purchasing more soaps from Monsillage.